Relocating a household or commercial establishment from London to another country is indeed a big deal. A project of this scale and complexity undoubtedly needs specialised approach and professional expertise from start to end. Once again, we can be of help through our specialised international relocation services – a comprehensive solution which deals with all the important aspects as well as the small things which sometimes get overlooked. 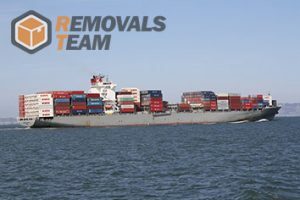 Preparing effectively for an overseas property removal is crucial. Allocating sufficient time to deal with each aspect of preparations means planning ahead, but it also means good time management and avoidance of any delays or setbacks. This is something we have covered, since our teams have performed a number of successful removals from London so far. The next stage of the process will be actual preparations for removal. Our advice as a professional relocation service provider is to allow for additional time (if possible) in order to buffer out any small delays along the way. Our removal teams will begin carrying out prep work at the specified time and day, without any timewasting. Our removal techs can handle the packing and wrapping of items, also labelling or colour coding boxes, crates, standalone furniture etc. The packing method (and packing materials used) may also depend on the type of shipping customers are using for their international removal. As one can imagine moving overseas doesn’t cost pennies. However we can offset some of the cost of moving internationally by organising our service in the most affordable way. Curbing unnecessary expenses in one such project is essential, and we know it. We will plan expenses in accordance to customer allocated budget and try and stretch available funds as much as possible – good value for money is one of our key policies. The majority of Londoners think that culture and arts are essential in ensuring higher quality of life – eighty five percent of all people to be exact. This seems to be ensured alright as the city offers access to 170 registered museums, 100 of them national museums, including world famous British Museum where one can see thousands of years of history and culture.